In that vein, there is a interview with me in this week’s issue of PRWeek. PRWeek’s Washington Bureau Chief Ted McKenna did a really good job. 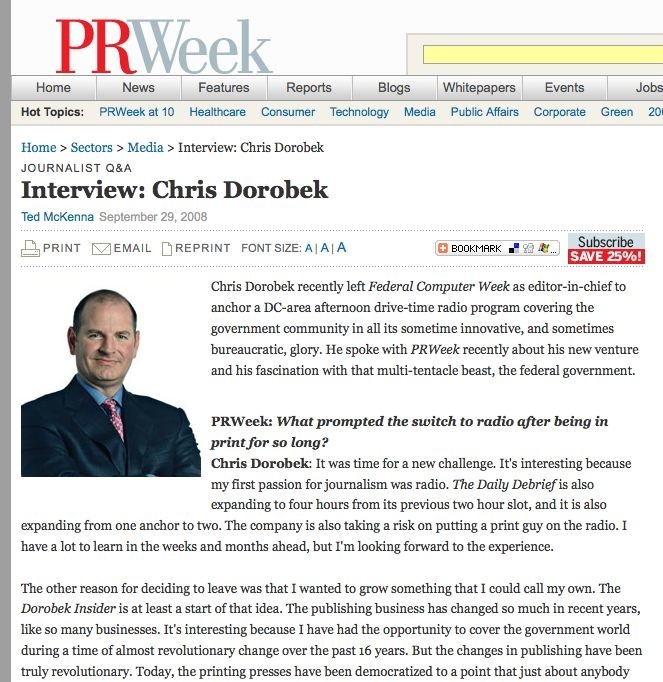 Chris Dorobek recently left Federal Computer Week as editor-in-chief to anchor a DC-area afternoon drive-time radio program covering the government community in all its sometime innovative, and sometimes bureaucratic, glory. He spoke with PRWeek recently about his new venture and his fascination with that multi-tentacle beast, the federal government. Regular readers know that there was a fire in my DC row house earlier this year. 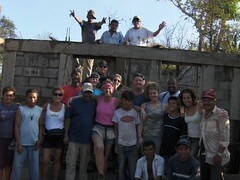 But, now more than nine months later, we have reached agreement with the insurance company and… we’ve started reconstruction. ETA: Who knows. But… at least it feels good to be moving forward. 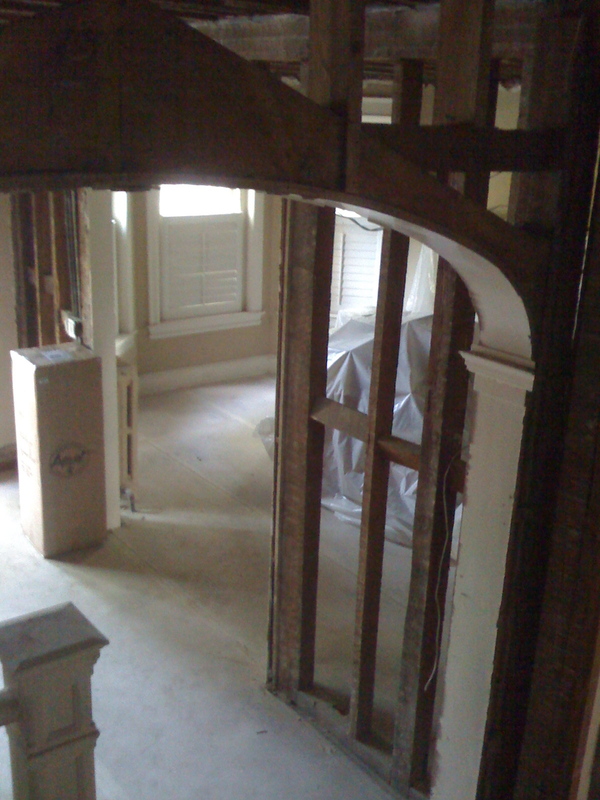 If you are so inclined, you can see the reconstruction photos here. Anybody even barely following the government market knows that it has been a tough year. It’s been a tough year for print publications — but it has been a particularly tough year in the government market. I’ve confirmed that Penton Publishing has decided to shut down two publications, which covered government stuff to one degree or another: Access Control & Security and Government Security. I’ve confirmed that Penton Publishing has decided to shut down two publications: Access Control & Security and Government Security. The big IT publisher, CMP, has all but eliminated Government VAR, essentially merging it in to VAR Business. They do have a government business section on their Web site. There had also been rumors around that Homeland Defense Journal, published by Market*Access International, was also shutting down. I touched based with Don W. Dickson, president of Homeland Defense Journal Media & Training, and he said they are doing just fine, thank you very much. They have built out and moved to new, much larger offices in Crystal City, VA, they have expanded their training courses, and they have hired three new marketing staff including a VP for Sales. They are working on a new Web site, and their newsletter continues its weekly release to over 24,000 subscribers, Dickson said. Read Dickson’s full note after the break.